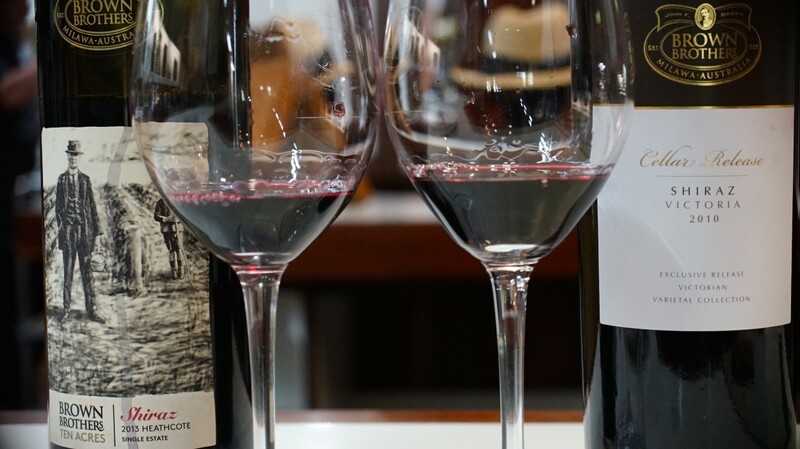 There are countless stories, yarns and legends associated with one wine or another. 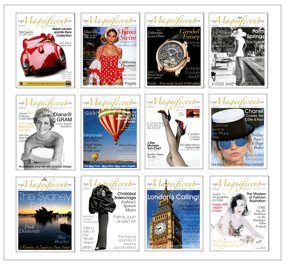 Writers worldwide have their favourites. We are sure that somewhere someone has written sonnets for Sauvignon Blanc, rhymes for Riesling or novels for Nebbiolo, but one wine attracts sparkling words above all others. Here is one more special story to add to the Sparkling Scrapbook. There are not too many accessible areas of Europe that over the centuries have not been disputed by neighbouring tribes; been tramped over, fought over and generally churned by battles. But the sector to the northeast of Paris has had more than its fair share of grief. Most recently in the Second World War. In that terrible period served one Armand Goutorbe son of a family of winegrowers going back to the 18th century. Most good stories have some uncertainties. Armand may have been an intelligence officer or perhaps a member of the Resistance. He may have been wounded. He may have lost a leg. He may have been captured and imprisoned. Or all five. 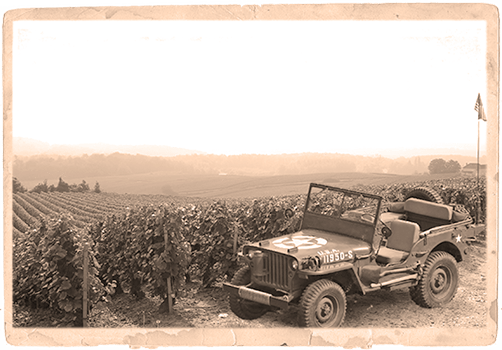 Anyway, as peace settled over the land the homeward bound Americans, in gratitude, left him with a Willys Jeep to help his work on the slopes of his vineyards. 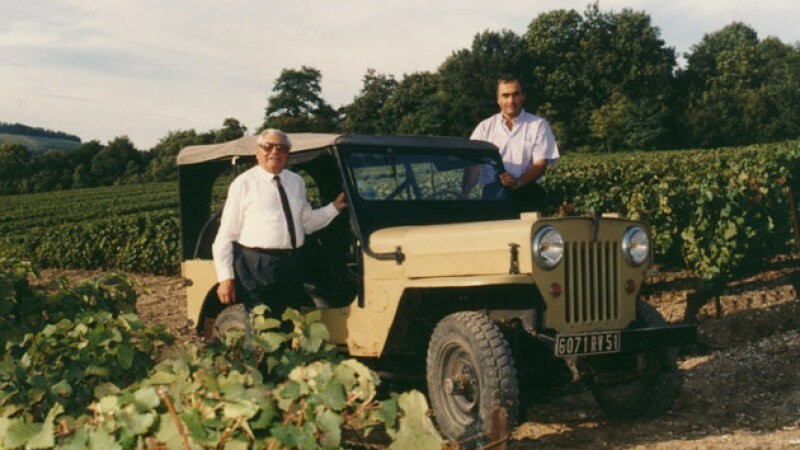 In 1949, with such a sturdy symbol to differentiate his wines from the post-war pack of re-establishing brands he launched Champagne Jeeper. 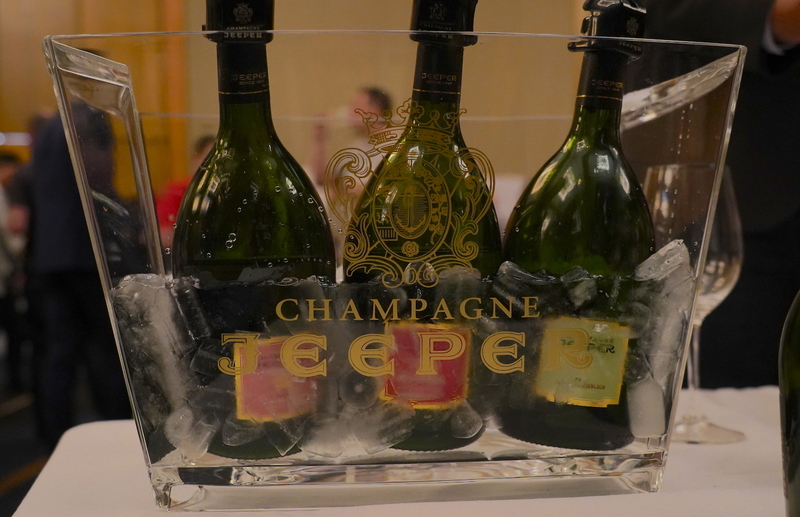 Of the three accepted grapes in champagne, Jeeper has always had a leaning towards Chardonnay. 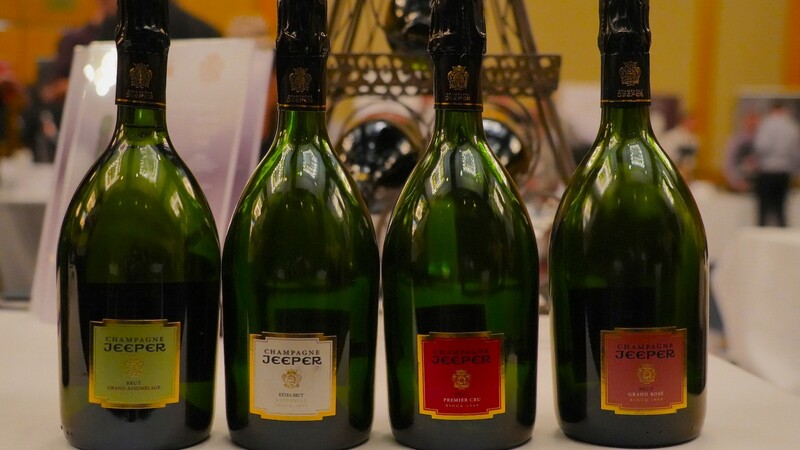 Their reputation for clean crisp sparklers grew until 2009 when Myriam and Nicolas Dubois bought Champagne Jeeper. In 2013 they partnered with Michel Reybier owner of Chateau Cos d’Estournel in Bordeaux. 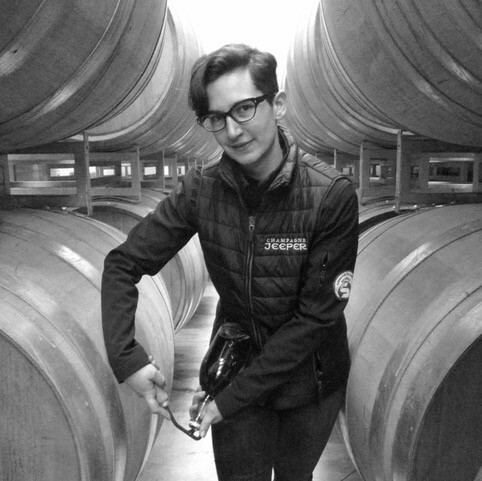 They also have in the driving seat 30-year-old winemaker Marie-Luce Thierry who for the second consecutive year was named as a finalist in the International Wine Challenge Sparkling Winemaker of the Year. Until recently 70% of Jeeper’s sales were in France but with this formidable team, they are driving with determination around the world. 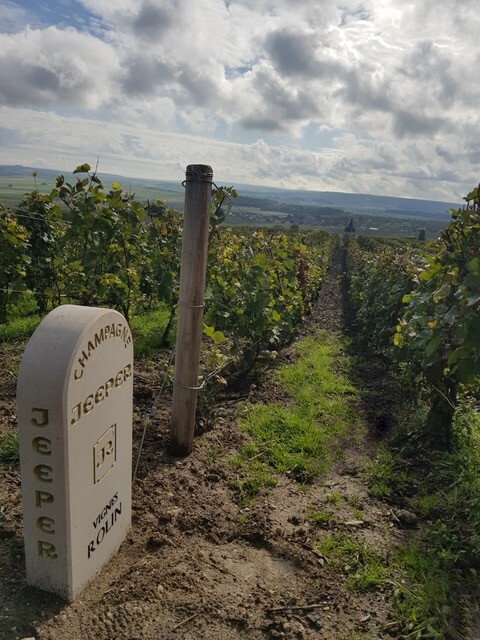 Jeeper now has 35 hectares of its own vineyards and a further 180 hectares of growers grapes to call on. 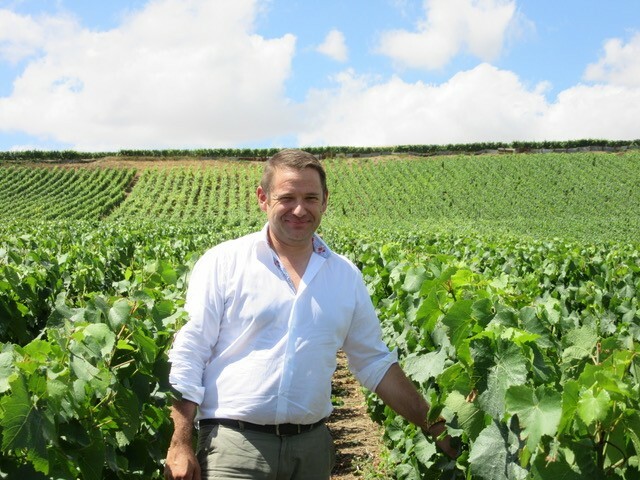 10% of the vines are Grand Cru and 10% Premier Cru. 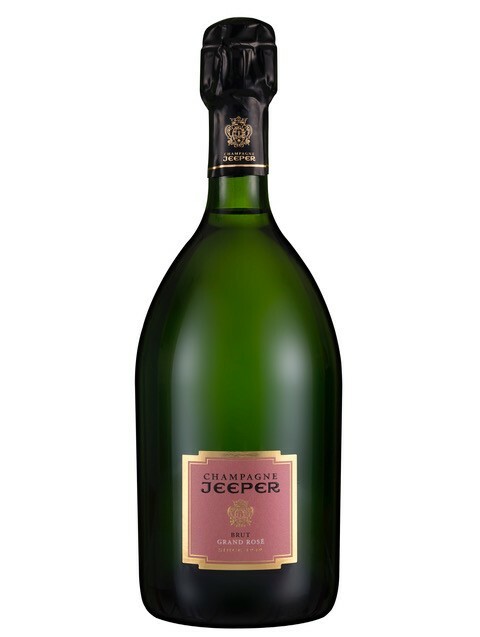 The Champagne Jeeper bottle today is round-shouldered and sturdy signifying the breadth of flavours of the wine inside (Can we see echoes of the lines of the venerable Willys in there?) The very fine neck is designed to limit the exchange of oxygen into the wine allowing for a more subtle ageing. The hallmark of the House is persistent but non-aggressive; no bitterness or astringency. 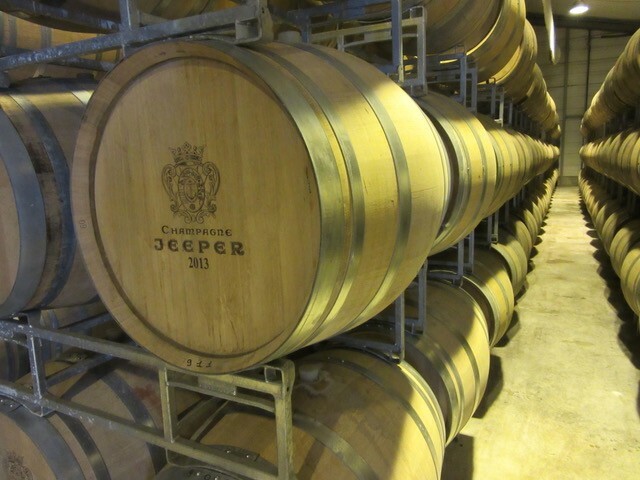 They favour a long élevage in old oak barrels of which they have the third highest stocks after Krug and Bollinger. 60% chardonnay, 18% pinot noir, 2% pinot meunier. Bright light and delicate. A whoosh of white fruits with lemony citrus and a fine persistence. This is certified an organic wine that is also vegan-friendly. A brilliant light gold in colour. Elegant, with a sharp and dry minerality. Notes of apples and pears. This is 100% chardonnay although not labelled blanc de blanc. It is light and minerally with floral notes. Silky in the mouth. Extremely refined with a lively citrussy sheen. 88% chardonnay, 12% pinot noir. A lovely pale rose colour. 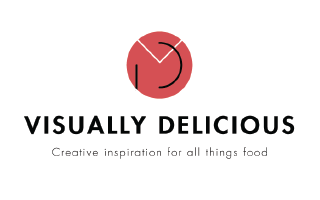 Fresh fruits delicately delivered. Hints of black cherry with a crisp finish. 60% chardonnay, 25% pinot noir, 15% pinot meunier. All grapes blazing in harmony. Fruity, toasty and exotic. A creamy texture adds to a very fine mouthful. All wines have a story. This is one of the nicest, and it shows in the wines. Champagne Jeeper really rewards those who climb on board.